Coffee and Tea Preferences: Modern or Traditional? 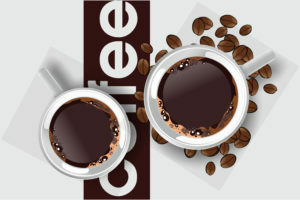 As a coffee or tea drinker, what are your beverages of choice? Do you prefer more traditional drinks, or are you the kind of person who loves to try the modern variations that seem to pop up every few weeks? These are interesting questions that companies like ours are always asking. We need to keep up with consumer demand if we are to keep our customers happy. There are no hard and fast numbers that point definitively to modern or traditional coffee and tea drinks as being most pervasive. But numbers from 2015 give us a very good guide to rely on. For example, 59% of Americans still drink at least one cup of coffee per day. While that’s down from 61% the year before, it is still an impressive number. Along the same lines, 80% of American households keep tea on hand in one form or another. The majority of that tea is iced tea or iced tea products. As for the question of modern versus traditional, it actually boils down to your age. Millennials are more likely to embrace the modern variations of both coffee and tea while those over the age of 40 are more likely to stick to traditional drinks. One thing is for sure; the single cup craze has not put a serious dent in traditionally percolated coffee among older Americans. They continue to slow-drip their coffee one pot at a time. It is interesting to note that where one buys and consumes coffee affects how that coffee is enjoyed. Statistics show that roughly 46% of those under the age of 40 are more likely to purchase and consume their coffee outside of the home. That means they are going to coffee shops, bistros, and fast food drive-thru’s to get their daily cups. This reality makes younger coffee drinkers more susceptible to the latest marketing trends. For example, young people who visit the local coffee shop every morning will be exposed to things such as cold brewed and organic coffees on a daily basis. Those who brew their coffee at home will settle on a favorite brand and are done with it. Which group do you suppose is more likely to prefer modern beverages? Another important factor to consider is the healthy lifestyle mindset. Once again, younger people under the age of 40 are more likely to be concerned about the decisions they make relating to coffee and tea, and how those decisions affect their health. There is a growing concern among millennials that coffee is unhealthy. Approximately 32% are concerned about coffee in general while 48% are worried about caffeine intake. They are more likely to drink things such as green tea and other modern tea variations under the assumption that these are healthier. Galaxie Coffee works hard to stay up with all the latest trends. We do our best to carry what our customers want, be they traditional beverages or modern variations. I’m always on the lookout for what’s new and innovative in the coffee industry. I recently made the acquaintance of a gentleman who does much the same thing, and thought that he was worthy of mention. His name is Phil La Rosa and he works with Espresso Works in Perth, Australia. They specialize in the maintenance and sales of the finest coffee machines and associated products in Australia. As part of his work he, too, enjoys keeping up to date with content relating to the coffee industry. Like many people (myself included), he has always been curious about the production of coffee – what needs to happen in order for us to enjoy our favorite brew? With this in mind, he thought it would be interesting to create an infographic entitled ‘’Coffee: From Seed to Cup’’. It looks at the different stages of coffee production while also giving some coffee industry facts. I’ve published it here. Enjoy it, while perhaps enjoying a cup of joe.